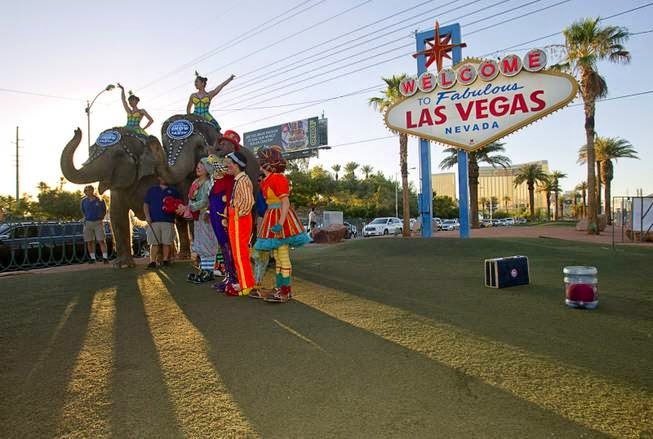 Ringling Bros. and Barnum & Bailey Circus came to town yesterday, with elephants and performers of the circus posing for pictures in front of the fabulous Welcome Sign. It will perform LEGENDS from their all-new Blue Tour at the Thomas and Mack Center from Thursday June 19 to Sunday June 22, 2014. 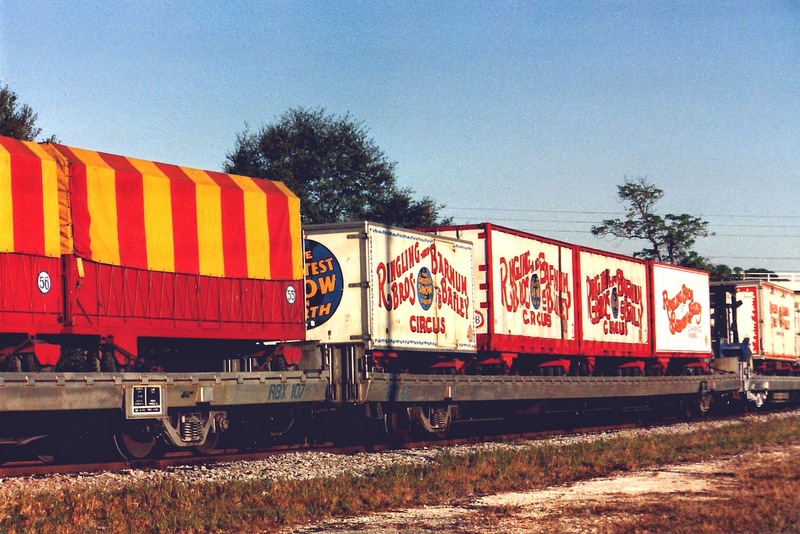 Outgoing postcard US-2813947 to Taiwan, with the Vintage Circus Poster stamps, shows the Ringling Bros. and Barnum & Bailey Circus train in Safety Harbor, Florida in January, 1992. Photo credit: © James G. Howes 1992.